This is one beautiful remodel and overlooks the community park! West facing, end unit, with two reserved parking spaces and awesome private! High quality renovation and completely move-in ready! Enter the front door and you are greeted by an inviting living room w/ a cozy fireplace! The kitchen is updated and open to the dining room making it feel incredibly open and perfect for entertaining! No work to do here, everything has been updated! 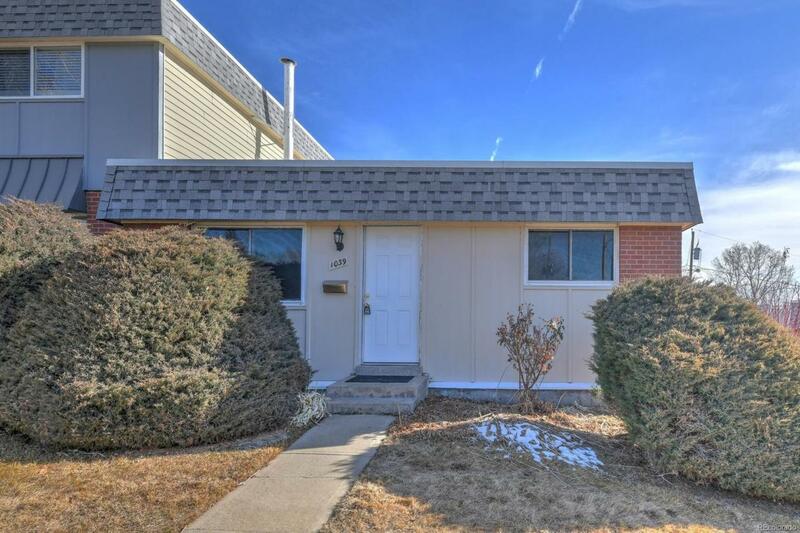 Central A/C, newer furnace, newer wood laminate flooring, new carpet, new interior paint, updated kitchen w/ slab quartz countertops and stainless steel appliance package, remodeled bathroom, newer double pane windows, new interior door hardware, new updated light fixtures throughout! Has an awesome yard w/ storage shed and ready for your gardening! Listing agent is part owner of LLC.